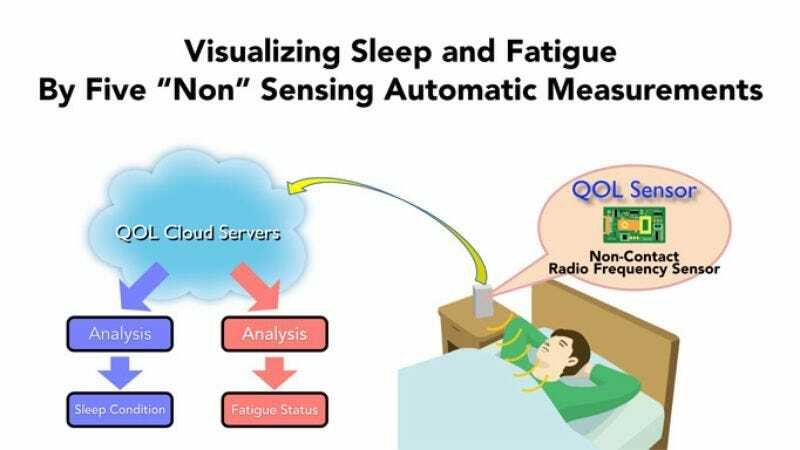 Nintendo is developing a sensor that will track its owner’s sleep habits and suggest ways to improve them, the company announced in an investor presentation today. In January, Nintendo shared plans to expand its business past very fun video games and into “quality of life” products that improve people’s health but are probably less fun. This sleep monitor, produced in partnership with a medical company that specializes in sleep disorders and already sells a contactless sleep sensor, will be the first product in this new initiative. “With Nintendo’s know-how of hospitality as well as of making people want to continue, we will encourage people to enjoy using it every day. As a result, a meaningful cycle will be established aiming to improve people’s [quality of life],” Iwata said, according to Nintendo’s rough translation of the presentation. Whether or not video games will enter into this cycle in some way has yet to be mentioned. According to a Reuters report on the announcement, the device and its passive-aggressive nagging will launch by March 2016.